I may have written a novel, but I’m still a history professor! Here are some reading suggestions for those of you whose curiosity has been stirred up by the story of Diana Bishop, Matthew Clairmont, and the hunt for the missing alchemical manuscript Ashmole 782. 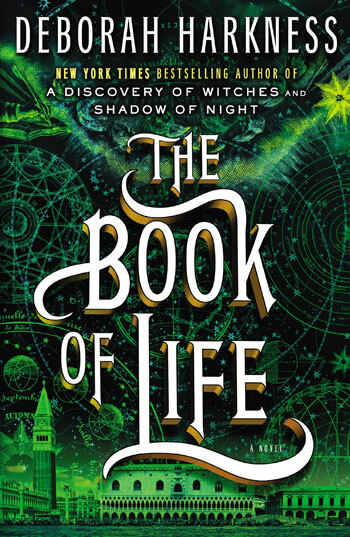 All of the titles here are non-fiction, and inspired some aspect of the All Souls trilogy. (Most of these titles should be available to order through your favorite online bookseller or local bookstore). I may have written a novel, but I’m still a history professor! Here are some reading suggestions for those of you whose curiosity has been stirred up by the story of Diana Bishop, Matthew Clairmont, and the hunt for the missing alchemical manuscript Ashmole 782. 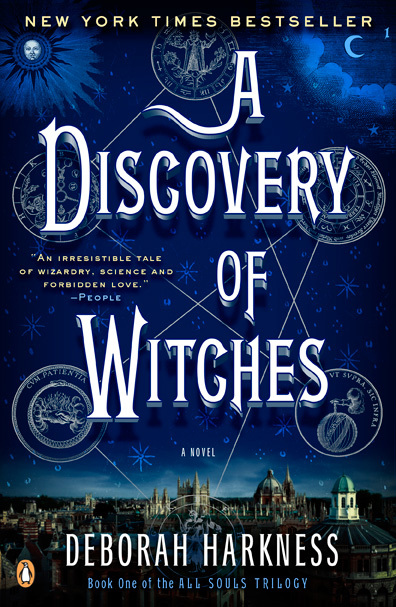 All of the titles here are non-fiction, and inspired some aspect of A Discovery of Witches. Elias Ashmole, Theatrum Chemicum Brittanicum. Don’t be put off by the Latin title. This is a collection of English alchemical texts that were gathered by Elias Ashmole. The missing alchemical manuscript that Diana finds in the Bodleian library is not among them, alas, but if you are interested in the subject this is a fascinating glimpse into the mysterious texts that she studies as a historian. Janet Browne, Darwin’s Origin of Species: Books that Changed the World. Browne is not only a great scholar, but a superb writer. A highly-regarded biographer of Darwin, here she turns her talents to writing a “biography” of his most famous book—and one of Matthew Clairmont’s favorites, as well. Owen Davies, Grimoires: A History of Magic Books. If you are interested in the history of magic and witchcraft, Davies’ description of the development of magical spellbooks will provide insights into how ideas about magic, science, and nature developed over the centuries. Carol Karlsen, The Devil in the Shape of a Woman: Witchcraft in Colonial New England. Diana Bishop is descended from a long line of witches. You will find out more about some of those witches—the Bishops and the Proctors—while reading this classic interpretation of what happened in Salem in 1692. Bruce Moran’s Distilling Knowledge: Alchemy, Chemistry, and the Scientific Revolution. This marvelous book is not only deeply learned but extremely readable. Touched with Moran’s sense of humor and his compassion for his subject’s tireless efforts to understand the natural world, you will come away from this book with a new appreciation for the alchemists. Alexander Roob, Alchemy and Mysticism. Diana Bishop is an expert on the enigmatic imagery that is used in alchemical texts. Many are included in Roob’s book, along with other illustrations from mystical and magical traditions. Lyndal Roper, Witch Craze: Terror and Fantasy in Baroque Germany. This scholarly book was important to me as I wrote A Discovery of Witches because it helped me understand how the belief in witches influenced the imagination. Many of the notions we have about witchcraft today have their roots in these terrifying fantasies. James Sharpe, Instruments of Darkness: Witchcraft in Early Modern England. Sharpe’s book is an ideal starting point if you are interested in the history of witchcraft beyond Salem or Germany. One of his most controversial arguments focuses on the role that women played as accusers—not just as victims—in the witchcraft trials. Bryan Sykes, The Seven Daughters of Eve: The Science That Reveals our Genetic Ancestry. I was fascinated by the combination of history, genealogy, and science in Sykes’s work. The book provides an introduction to the study of genetics, and to the legacies that are carried from generation to generation among the population. John Stow, A Survey of London: historian John Stow (ca. 1525 – 6 April 1605) compiled this contemporary account of the city, its customs, and notable landmarks. Janet Arnold, Queen Elizabeth’s Wardrobe Unlock’d: a sumptuous glimpse into female fashion of the time through the lens of the queen’s wardrobe accounts and a careful examination of contemporary depictions and material remains. Ninya Mikhaila and Jane Malcolm-Davies, The Tudor Tailor: Reconstructing Sixteenth-Century Dress: insights into the construction of period clothing, with suggestions for how to make your own garments. Francine Segan, Shakespeare’s Kitchen: Renaissance Recipes for the Contemporary Cook: you could read an Elizabethan cookbook, but Segan’s book updates ingredients, measurements, and cooking methods to fit modern kitchens. Brian Levack, The Witch Hunt in Early Modern Europe: a lucid yet scholarly introduction to the witch hunts between 1450 and 1700. Enjoy this video about the very grand kitchens of Hampton Court Palace and the food that was prepared there about fifty years before Diana and Matthew timewalk. 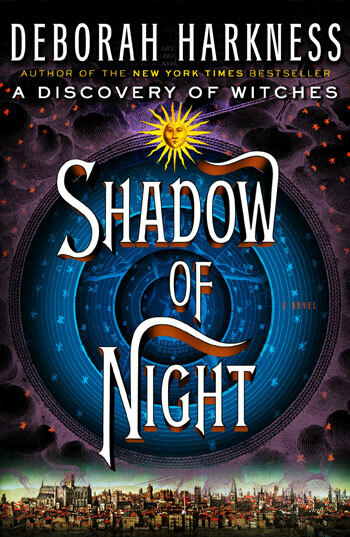 The final volume in the All Souls Trilogy develops many subjects—history, alchemy, genetics—that are introduced in A Discovery of Witches and Shadow of Night. Be sure to check my suggestions for further reading for these books, too. The history of the Voynich manuscript is as tangled and complex as its contents are marvelous and mysterious. A facsimile of this Yale University manuscript is now available, with essays by leading scholars on a variety of subjects. See Raymond Clemens, ed. The Voynich Manuscript (2016). For more information on Jesuit polymath Athanasius Kircher, see Daniel Stoltzenberg’s Egyptian Oedipus: Athanasius Kircher and the Secrets of Antiquity (2013). If you are interested in why Diana Bishop had the birthroom experience she did in the book, take a look at this edition of Jane Sharp’s The Midwives Book: Or the Whole Art of Midwifry Discovered (1671), ed. with an introduction by Elaine Hobby (1999). Yale’s Beinecke Library, like the Bodleian, is a treasure trove for book lovers. A peek into that magical world can be found in Kathryn James, An Inspiration to All Who Enter: Fifty Works from Yale University’s Beinecke Rare Book and Manuscript Library (2013).